Omni Pool Builders can recycle your swimming pool into an eco-friendly outdoor living space. With six demolition options to choose from, we can help you determine if you want a complete removal or a conversion into a sustainable landscape garden. We work hard to be energy-efficient in the time we spend at your property, meaning we pay high attention to detail during the demolition process. We use recycled dirt from local businesses, like Tank’s Green Stuff, and work with skilled contractors to get the job done right. We believe that since there is already a hole in the ground, why not replace it with something new while we’re at it. We want to extend our services with our talented designers to retrofit the area after pool removal. Such replacement projects including sustainable rain gardens, outdoor kitchen, fire pit, or a golf course. Whether you simply want your pool filled or want to convert it to a pond or a water tank, we can help you fulfil your vision. Whether you want to have a native plant garden, water harvesting tanks, an outdoor living room or party space, we can help you fulfill you vision. Get in touch with our Demolition Specialist today. We’ve got sustainability on the mind. If you remove your pool, think about how much water you’re saving; if you add water harvesting systems, you’re collecting free water and saving money on the household’s water intake each month; if you add a pond and a sustainable landscape, you’re saving water and creating a watering hole for local wildlife. 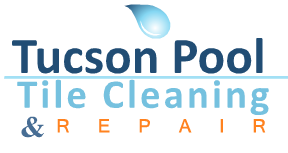 We see the demand for pool removal everyday and we also understand that population growth in Arizona has greatly affected our water resources. A pool in Southern Arizona with a capacity of 15,000 gallons of water could go through 45,000 gallons of water per year, but we are creating innovative ways to be more water-wise in the swimming pool industry! There is nothing more intriguing than understanding the environment we live in, and living in it without draining its resources. We have the opportunity to live in the Sonoran Desert where a little bit of creativity and knowledge go a long way. Our staff has been educated from local organizations like Watershed Management Group and the University of Arizona in topics like green infrastructure, ecological diversity, and water and resource management. With all things combined, we are striving to make our business and our community stronger in green thinking. Our biggest goal is to educate our clients on the various possibilities for sustainable living. If you have the desire to remove your swimming pool, we encourage you to do it in an environmentally friendly by adding water harvesting systems and sustainable landscaping. Simple water-wise solutions stretch far by giving back to our local water reservoir and giving you a lush backyard without the extra expense of water. We can help you learn more about sustainable landscaping, water harvesting, and Tucson’s Rainwater Harvesting Rebate. We’re proud to both work and support local companies with green initiatives. We support them and they support us.